In Stock - SKU: PCWP-2TP-1. 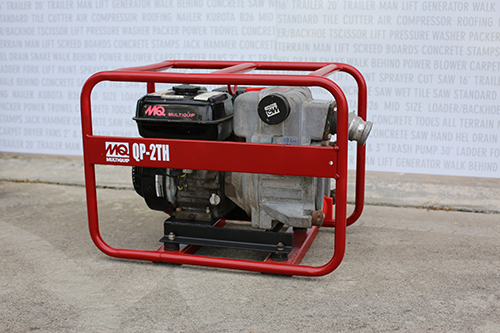 The QP-2TH Trash Pump. Suction inlet – 2 inch. Discharge – 2 inch. Maximum pump and capacity – 211 gallons per minute. Maximum solid diameter – 1″. Maximum lift – 25 feet. Maximum head – 98 feet. Maximum pressure – 42 PSI. Weighs in at 97 pounds.